Come put your little clawed and emaciated hand in ours—we’ll look after you. Ignore the darkness and the cemetery mist creeping through the Graveyard Gates, and ignore the fact that the flesh seems to have slipped from your face. 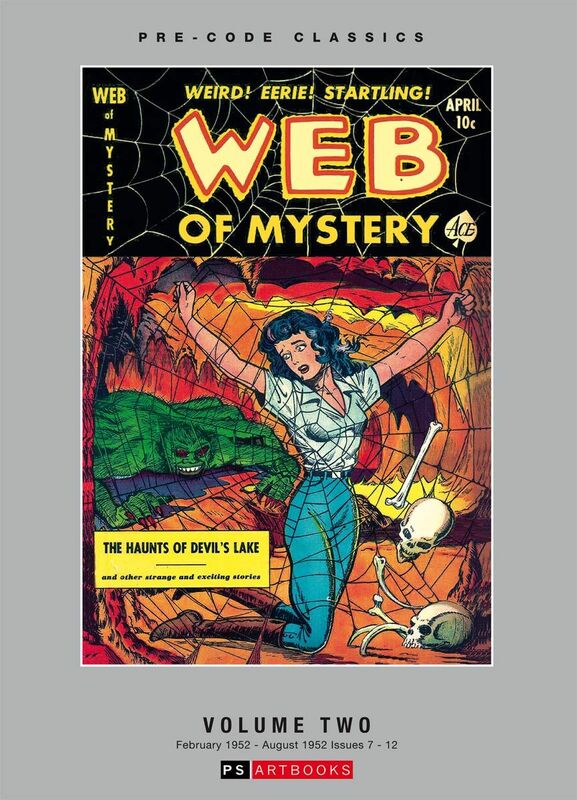 No matter, for this is comicbooks the way they were and should always be. Artists include Charles Nicholas, Mike Sekowsky, Lou Cameron, Louis Zansky, Jim McLaughlin, Ken Rice, Bill Molno, Chic Stone and John Chilly. 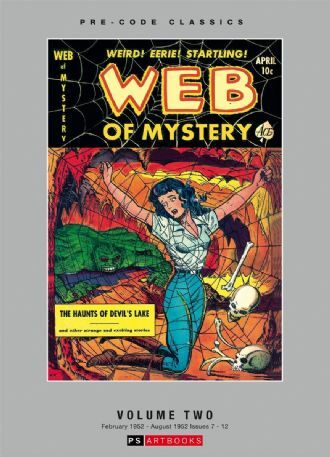 This second volume features the ACE Comics issues of Web of Mystery, Issues 7-12 February 1952 to August 1952.